There is no better time than the Green Season, just after the rains have fallen, when the dry landscape has transformed into a lush, wildflower-speckled wonderland to get the true Out of Africa Tourism is at its lowest and you are surrounded by nothing but the vast savannah thronged with wildlife. It is also the time when the Serengeti’s Great Migration heads westward, and wild cats lie in wait to feast upon the hordes of wildebeest, gazelles and zebras making their trek in search of new grazing land. See African Elephants with impressive tusks, called Tuskers, and countless Lions in the world-renowned Ngorongoro Crater. Stay in camps in three parts of the Serengeti. Watch for a crossing on the Grumeti River, during which thousands of wildebeest encounter some of the world’s biggest crocodiles. Join Apex on this Tanzania safari to see the wildebeest migration and the many spectacles of the Serengeti at the most vibrant time of year. Arrive in Arusha, gateway to Mt. Kilimanjaro and the Ngorongoro Crater, and transfer to Legendary Lodge, nestled among lush gardens and working coffee estates. Gather this evening for a welcome dinner and briefing by your expedition leaders to prepare you for your Tanzania safari tour. Overnight at the Legendary Lodge. After breakfast, set out for Lake Manyara National Park to explore the shores of this soda lake in the hopes of spotting flamingos, spoonbills, egrets, herons, storks and other waders that converge along the water meadows. Search the wide grassy flood plains and bands of mixed acacia woodlands for elephant, wildebeest and giraffe. After lunch, head to the Ngorongoro Conservation Area, a UNESCO World Heritage Site and home to the jaw-dropping Ngorongoro Crater and Serengeti Plains. The road to the lodge skirts the rim of the crater, offering a glimpse down onto the crater floor, 2,000 feet below. Dinner and overnight at the Ngorongoro Crater Lodge on the crater rim. Rise at dawn for an adventure into one of the world’s most spectacular wildlife sanctuaries, the Ngorongoro Crater. The 100-square-mile crater floor is an ecological microcosm of East Africa, with forests, lakes, grasslands, swamps and rivers that together support a staggering 30,000 large animals. Huge concentrations of Blue Wildebeest and Burchell’s Zebra are accompanied by smaller numbers of the crater’s famous Giant Tuskers, buffalo, hippos, Topi, and Thomson’s and Grant’s Gazelles. Predators like Lion, Cheetah, Leopard, Spotted Hyena, Bat-eared Fox, and Golden and Black-backed Jackal abound. You may even be lucky enough to spot the critically endangered Black Rhino. 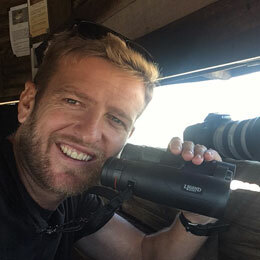 Birders will not be disappointed—see rafts of Lesser Flamingos on Lake Magadi, Lammergeier, Verreaux’s Eagle, Ostrich, Kori Bustard, Grey Crowned Crane, Lilac-breasted Roller, and raptors like the unique Secretarybird and majestic Long-crested Eagle. Ascend to the scenic Ngorongoro Crater Lodge for dinner and overnight. The Serengeti is Tanzania’s oldest national park. Its name means “endless plain” in the Maasai language, and it is fitting, as the park is comprised of 5,700 square miles of plains, open woodlands, and rivers. The park is a veritable wildlife feast, offering a host of resident mammals and simply superb birds, with over 550 species having been recorded. 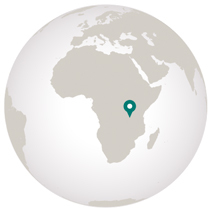 Today, drive through eastern Serengeti, with a stop at the Olduvai Gorge Museum, to Pioneer Camp, located in the wildebeest migration area of south central Serengeti. Dinner and overnight at Pioneer Camp. May marks the end of the rainy season, so the landscape is at its most beautiful, with life erupting everywhere. Dust is minimal, the wildflowers are all in bloom, and the wildebeest migration is moving westwards. This time of year, the mass migration collides with the big cat populations that reside here, so the opportunity to see a big cat kill is at its peak. May is also known as ‘the rut,’ when the wildebeest mating season is in full swing, with an almost constant cacophony of bellowing males holding temporary territories in which they try to attract females. During your stay at Pioneer Camp, enjoy game drives where you stand a great chance of spotting the ‘Big 5.’ In addition, several smaller, but no less spectacular, species of cats such as Caracal, Serval and African Wild Cat, are also relatively numerous. Ungulates abound, and in addition to the ever-present wildebeest, huge numbers of Burchell’s Zebra, African Buffalo, giraffe, warthog, Thomson’s and Grant’s Gazelles, Impala, Topi, Kongoni, diminutive Kirk’s Dik-diks, Klipspringer, Roan, Oribi, Defassa Waterbuck, Bohor Reedbuck and eland may also be seen. Star birds in the area include three species entirely restricted to this part of Tanzania, namely Gray-breasted Spurfowl, the glamorous Fischer’s Lovebird and characterful Rufous-tailed Weaver, all of which are delightfully common here. 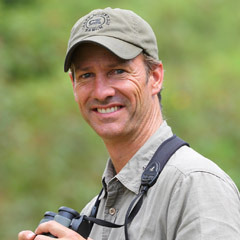 In addition, you should see more widespread avian icons of the African savannah such as Bateleur, the stunning Blue-capped Cordon-bleu, and the aptly named Beautiful Sunbird. Dinners and overnights at Pioneer Camp. After breakfast, head to the western corridor of the Serengeti National Park. Grumeti covers nearly 800 square miles and forms part of the larger Serengeti-Maasai Mara ecosystem. Grumeti Serengeti Tented Camp overlooks a tributary of the great Grumeti River, one site in the annual migration. With luck, witness a “crossing,” during which droves of wildebeest brave the jaws of some of the biggest Nile Crocodiles on Earth. Hippos are a big draw here as well. Dinner and overnight at Grumeti Serengeti Tented Camp. Rise with the sun each morning to catch the animals at their most active. Your guides will keep an eye out for the great herds of the migration, but the permanent water source of the Grumeti River also means that the area is rich in predators year-round, with massive Lion prides and extensive clans of hyena numbering up to a hundred. The river also attracts large herds of buffalo and elephant, while the open plains are the ideal habitat for Cheetah. Morning and evening game drives will assure you the greatest number and variety of sightings, and give you a real sense of the terrain of western Serengeti. Dinners and overnights at Grumeti Serengeti Tented Camp. After breakfast, depart on a morning game drive ending at Singita Sasakwa Lodge, perched atop Sasakwa Hill, offering spectacular views over the Serengeti plains. After lunch, head out on an afternoon safari game drive. You are likely to spot a great variety of wildlife, including Cheetah, wildebeest, Bat-eared Fox, Maasai Giraffe, Lion, elephant, buffalo, Leopard, and plenty of zebra. Dinner and overnight at Singita Sasakwa Lodge. Enjoy two full days of morning and evening game drives, as well as optional bush walks with an expert guide and tracker, to give you a different view of the magnificent plants and landscapes of the area. After dinner each night, be sure to enjoy an evening drink by the campfire—the perfect venue to discuss the journey’s highlights with fellow travelers. Enjoy one last breakfast in the bush, before transferring to the airstrip for your flight to Arusha. Enjoy a farewell lunch at River House Shanga, located on the beautiful grounds of the Arusha Coffee Lodge, then visit the Shanga Shangaa workshops, which employ people with disabilities to create exquisite handmade crafts and jewelry. Afterward, transfer to Kilimanjaro International Airport for your flights home. In addition to all tour services from arrival in Arusha, as noted in the itinerary; the trip price includes all gratuities, services of one Apex expedition leader for every six guests, plus local guides throughout; flight from Singita Sabora Tented Camp to Arusha, as noted in the itinerary; plus local beer and wine with lunch and dinner daily. Sold out! Please contact us to put your name on the waitlist for 2019, or the interest list for 2020. In addition to all tour services from arrival in Arusha, as noted in the itinerary; the trip price includes all gratuities, services of one Apex expedition leader for every six guests, plus local guides throughout; domestic air as noted in the itinerary; plus local beer and wine with lunch and dinner daily. Witnessing the Serengeti’s Great Migration is a fascinating experience that every adventurer should have! I look forward to experiencing Tanzania during the Green Season and encountering its legendary wildlife. 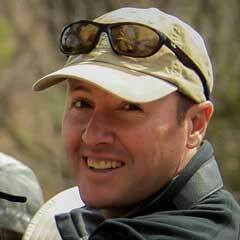 Liam is excited to witness the thundering spectacle of the Serengeti’s wildebeest migration with Apex travelers. Wildebeest were named by the Dutch who perceived them as “wild beasts” or “wild cattle.” It is the Blue Wildebeest of East Africa that is best known of the two species thanks to the celebrated annual spectacle known as the Great Migration. Joined by zebra and antelope, this is the largest mammal migration on the planet with over a million animals moving with “swarm-like intelligence.” Little wonder then that this spectacle tops the knowledgeable travelers’ bucket list.